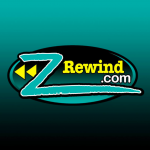 The Z family of Christian radio stations is expanding again tonight at midnight as Z88.3 launches ZRewind.com…Positive Hits from Back in the Day! ZRewind.com will give listeners the chance to relive all the great songs from Z88.3’s early days when they signed on in 1995. The new station can be heard on 96.9 FM in The Villages and Leesburg taking over the signal that was left behind when the Z launched 88.7 FM in The Villages, Leesburg and Ocala. It can also be streamed online at ZRewind.com and will soon be added to the Z app! The Z’s mission is to create a radio station to reach every member of their community. This is the sixth radio station that Z88.3 has launched under the Z family of Christian radio stations umbrella. These radio ministries are reaching people with the good news of Jesus Christ both on the radio dial across Central Florida as well as worldwide online. Join the Z Family in celebrating the launch of this new station and pray that God will continue to use these radio ministries for His glory!